For me, waking up in Paris used to mean waking up to a café au lait, a fresh croissant, and a freshly pressed orange juice. Until recently. After leaving the US and moving back to Europe last year, we have visited Paris several times. To my pleasant surprise, we found multitudinous cafés serving healthy and New York style breakfasts; bakeries not just selling croissants and baguettes but also beautiful organic whole wheat bread; coffee shops with excellent coffee; juice bars; gluten free cafés, you name it. And yes, many places do brunches on weekends as well! I can make a list that is much longer than this one, but let’s start with these 11. 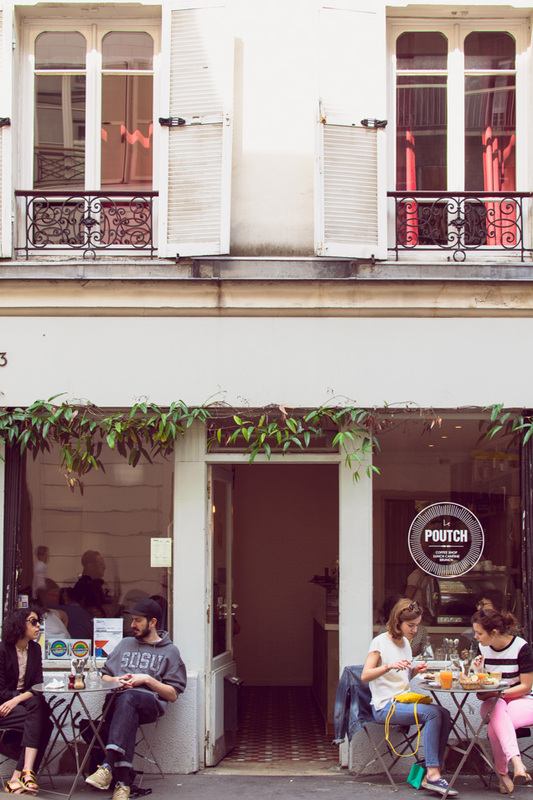 Cute little place in the lively 10th arrondissement. The brunch menu offers a giant bowl of granola with fromage blanc, frittata, pastry’s, fresh juices, and of course coffee. They have some vegan options as well. A trouvaille in the crowded Montmartre. Nice decor and the weekend brunch buffet is perfect. Think freshly baked carrot cake, scones, matcha cake, granola, lentil-goat cheese salad, beet salad with grains, quiches, French cheeses. Don’t forget to buy yourself a package of the lovely homemade granola as a souvenir. Be prepared to wait before you are being seated (no reservations) in this well known place close to the Canal Saint Martin. 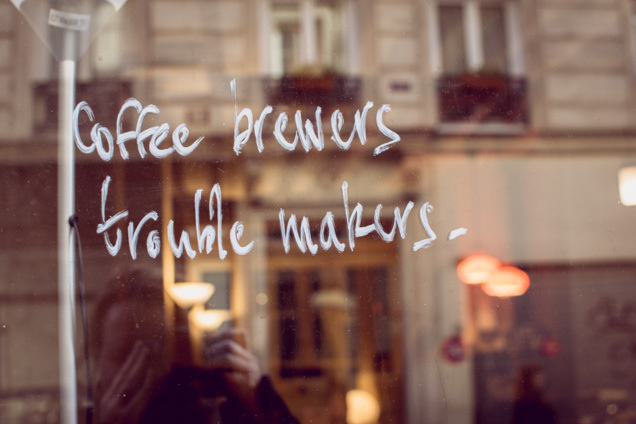 But if you wait outside with an excellent coffee made with Belleville beans, the famous Paris coffee roaster, everything will be allright. Be surprised by the American-Australian-French breakfast menu and by the fact that everyone speaks perfect English. This is Paris 2016. Opened recently and already a favorite. This tiny Portuguese family-run coffee-shop and ‘pastelaria’ sells delectable ‘Pastéis de Nata’ (custard tarts), succulent ‘Bolas de Berlin (Portuguese doughnuts filled with cream), and much more. Seat yourself with a coffee and something to eat at the communal table and have a chat with the friendly owners. It’s also a small deli with beautifully packed Portuguese products like organic tea, organic granola, wines, sea salt, and of course a whole lot of tins of sardines. Forget about baguette with butter and jam at Season. 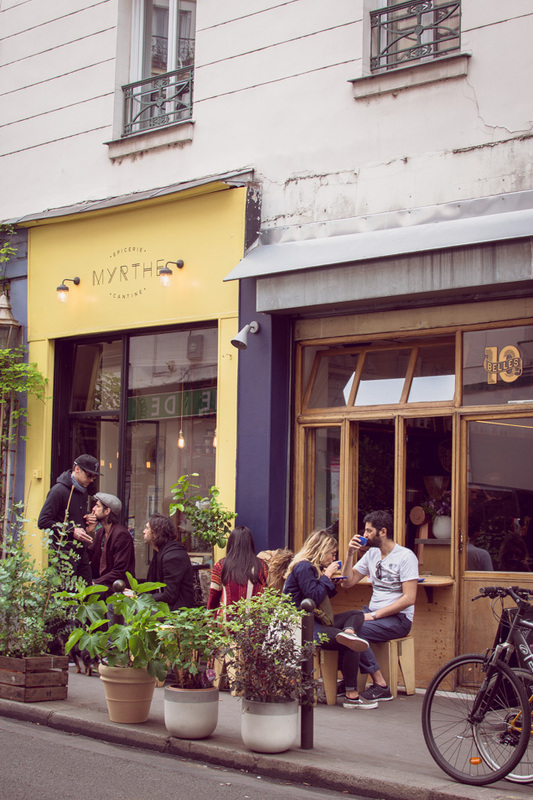 Located in the upper Marais with a très cool decor you’ll get acai bowls, matcha bowls, avocado tartine, pancakes, homemade lemonade and juices. They work with beautiful products and offer many gluten free options. Belleville coffee, scones, granola, cookies, and a small menu menu with a soup, salad and ‘toastie’. 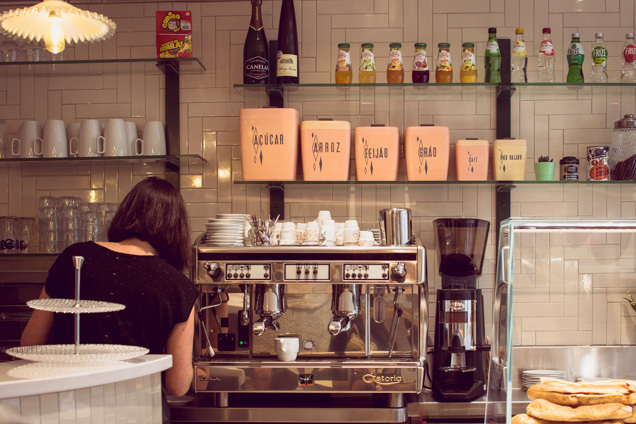 Hopefully you don’t have to wait too long in this tiny bar that is almost always packed with coffee lovers. 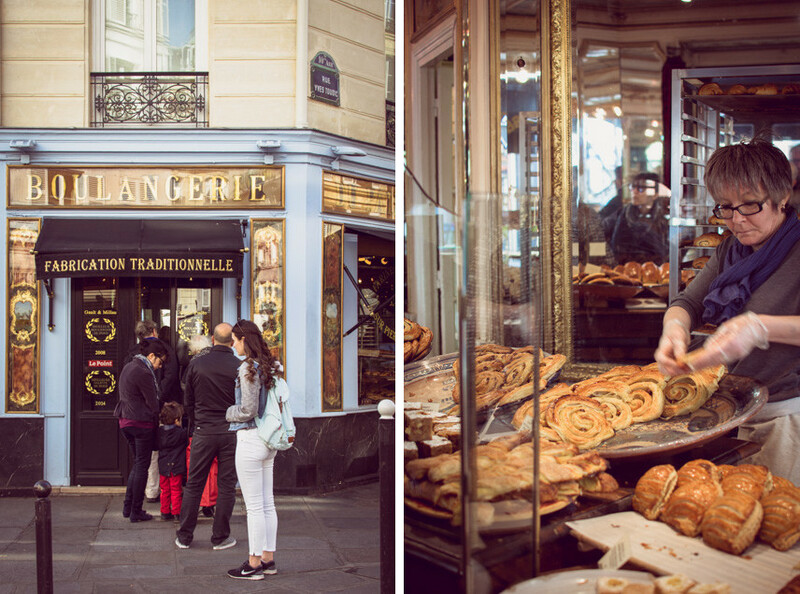 Right next door to 10 Belles you’ll find this lovely épicerie. A beautiful deli with brick walls filled with all kinds of delicacies. There are some tables where you can have breakfast or lunch. Their cheeses and sandwiches are ‘très délicieux’. 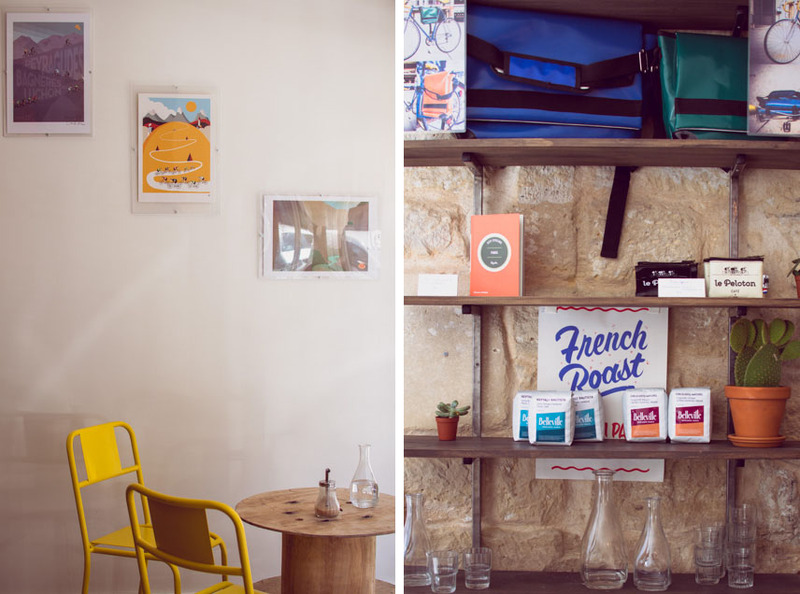 This tiny and relaxed coffeeshop is situated in a backstreet, close to Place des Vosges. They make excellent coffees, including aeropress and filtered coffee. There is a small and constantly changing food menu. Expect plates like avocado toast with poached eggs and some really good pies. Everything is made with fresh, seasonal ingredients. And did we tell you that they love bicycles here?! Every month they sell a top-quality vintage bike from their collection. Another place for coffee ánd bike lovers! At this café with a minimalist interior you can also rent a bike. After a breakfast with a good Belleville coffee and a doughnut or waffle, explore the city by bike. 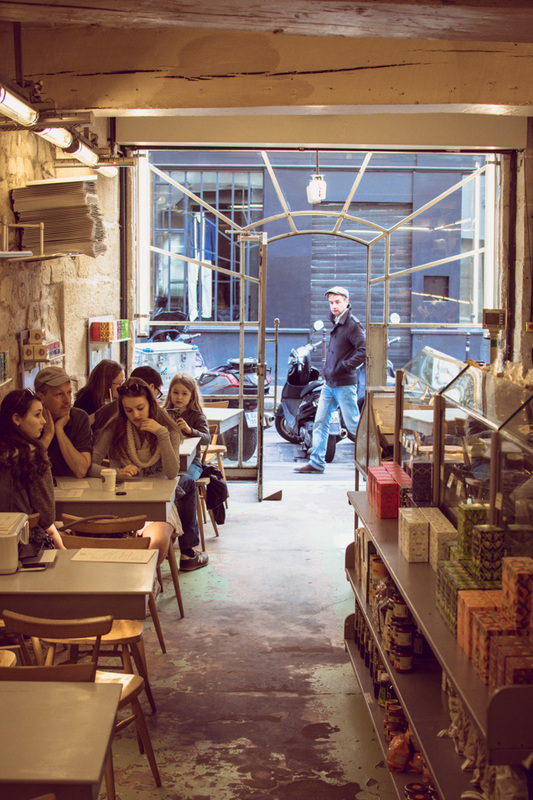 This café stands out for its organic ingredients and is one of our old time favorites. 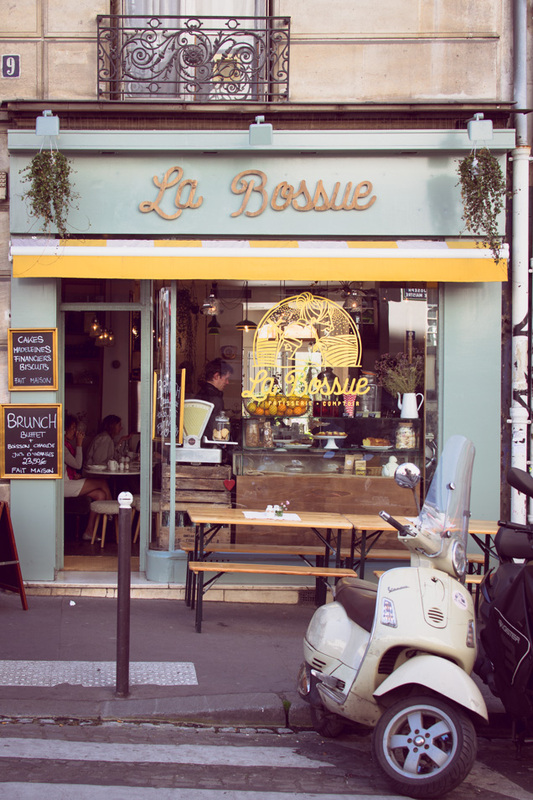 Rose bakery can be found at several locations in Paris, but we almost always go to this one in Le Marais. Have yourself a breakfast amidst crates filled with veggies and flour sacks. Lucky us! Our last airbnb apartment was practically above this bakery. Du Pain et des Idées is famous for its enormous Pain des Amis made with organic flour. 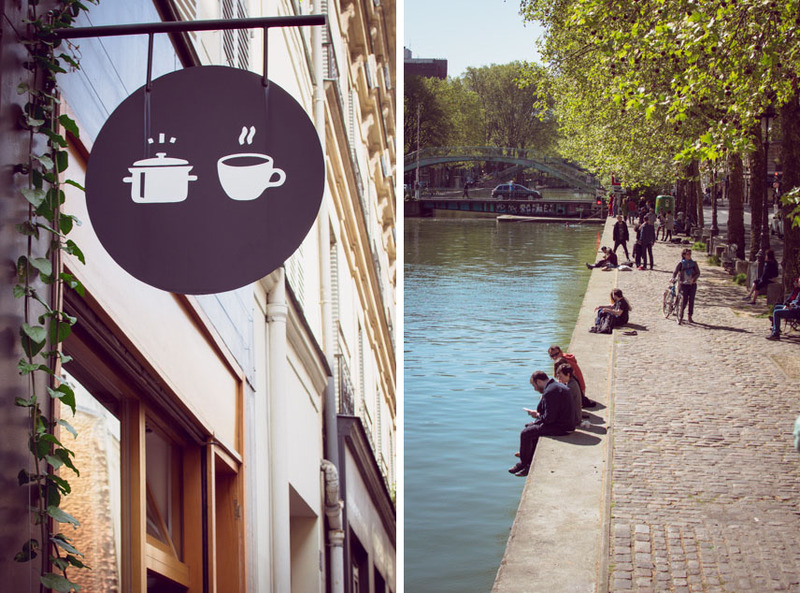 The bakery is very close to the Canal Saint Martin, the perfect place for breakfast with a take out coffee and some irresistible croissants. For your convenience we created a map (and included the addresses of our post 5 places to end the day in Paris). Just click on the numbers or scroll down and enjoy Paris!